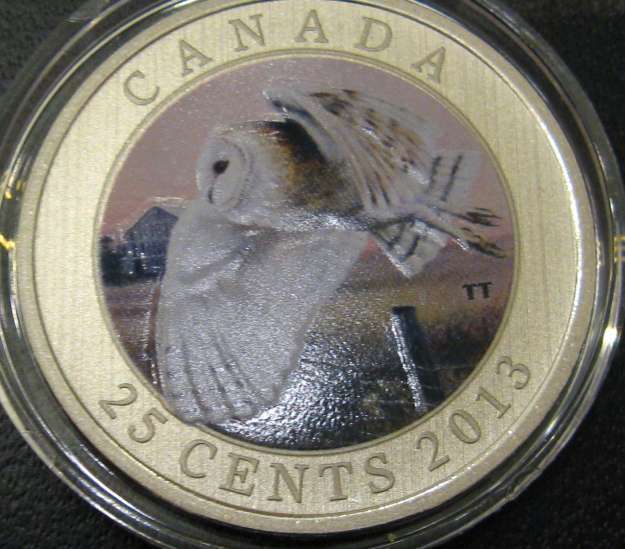 The RCM Birds of Canada 25 cent coloured coins are surely a work of art and have proven to be a great investment. 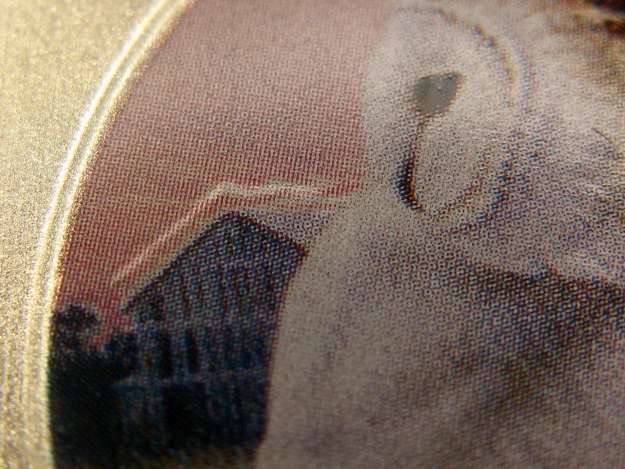 I purchased one of the newly released "Barn Owl" coins at the post office the other day and was very pleased to see a distinctly doubled barn roof. 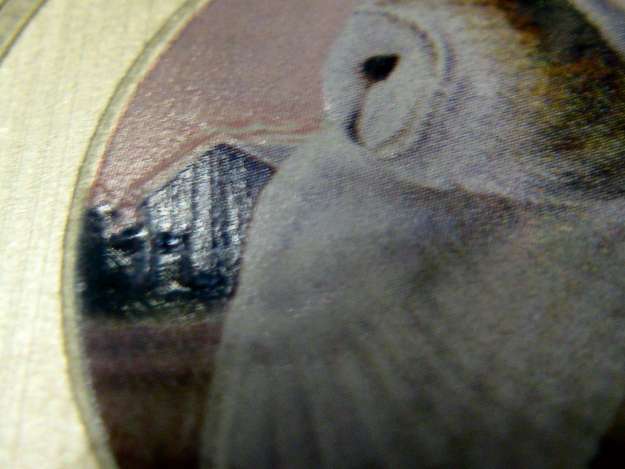 Barn Owl's right wing tip is also missing colour where it is supposed to overlap the perimeter of inside circle. 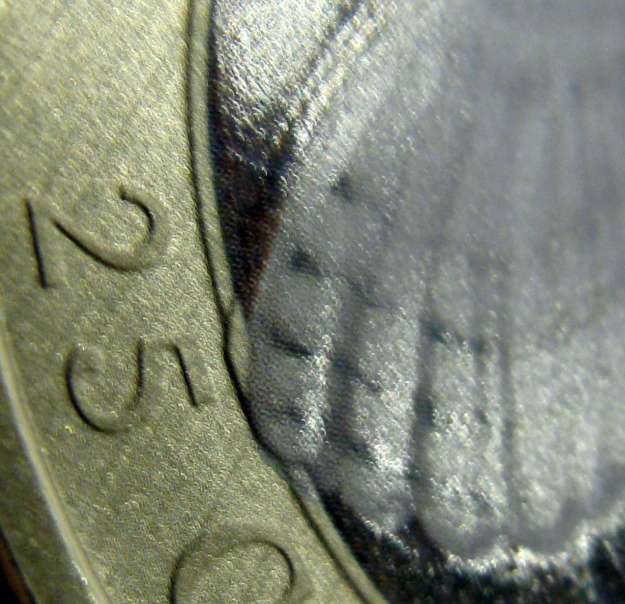 The wing edge, talon, and fence post also appear doubled. Rarity? Comments please.